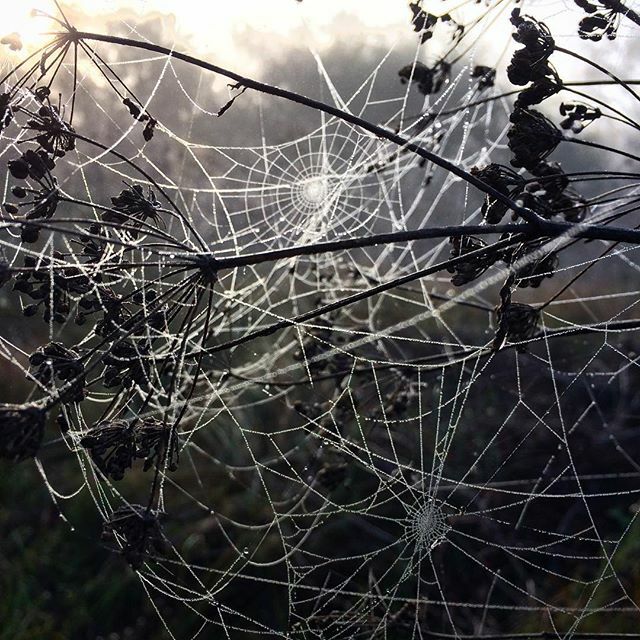 Evidence of Past Industry – Many spiders consume their web when repairing, or moving it. The proteins it contains are recycled into new web. Many webs we see are “cobwebs” and no longer in use. “Spider web” refers to webs still in use.